IndustriALL Headlines are produced by IndustriALL’s Press Department. For more information about IndustriALL Global Union click here to visit their website. Jan 07, 2016: IndustriALL Global Union strongly condemns the Thai military government after it invoked new powers under the Public Assembly Act 2015 to end a peaceful protest by union members in Bangkok yesterday (6 January). It followed a rally of 500 locked-out workers at Japanese-owned auto-part supplier Sanko Gosei outside the Ministry of Labour on 6 January. At 19.00 three police units and military forces were used to break up the demonstrators who were planning to spend the night there. Shortly afterwards two union leaders, Chalee Loysoong, Vice President of the Thai Labour Solidarity Committee (TLSC) and Amorndech Srimuang, President of the Sanko Gosei Workers Union, which is affiliated to IndustriALL through TEAM, were questioned by authorities. During this time their phones and ID cards were temporarily confiscated and they were escorted at all times, even to the bathroom. The union leaders had taken part in mediation negotiations with Sanko Gosei and the Ministry of Labour during the day, as the rally was taking place outside. The Public Assembly Act carries a penalty of up to ten years in prison for causing a disturbance or disruption of public services. “The crackdown is particularly disappointing considering our positive meeting in December at which the Permanent Secretary to the Ministry of Labour said the government shared IndustriALL’s will to protect the rights of workers,” added Raina. 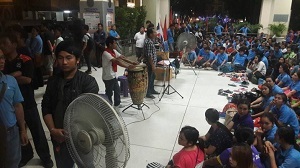 In October 2015, IndustriALL filed an official complaint to the International Labour Organization against the government of Thailand for serious violation of trade union rights. More than 600 Sanko Gosei workers, who are all union members, have been locked out after negotiations over a new collective bargaining agreement and bonuses broke down. The company claims that it is unprofitable. In the meantime, casual workers have been brought in to replace the locked out workers. The Sanko Gosei Workers Union accuses the company of using the dispute to bust the union and replace permanent workers with subcontractors. The Minister of Labour, General Sirichai Distakul, has reportedly promised to attend the next mediation meeting between the union and the company. For more information, please contact: Leonie Guguen, Communications Officer, IndustriALL Global Union – lguguen@industriall-union.org or tel: +4179 137 5436. The global framework agreement with Swedish retailer H&M is already proving useful. 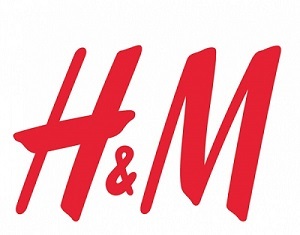 Jan. 07, 2016: A global framework agreement (GFA) signed between IndustriALL Global Union and Swedish clothing company H&M has been an accelerator in reinstating sacked workers at garment factories in both Myanmar and Pakistan just a couple of months after it came into force. The GFA, which was signed in November 2015, serves to protect the labour rights of 1.6 million workers in H&M’s global supply chain. In Myanmar, the GFA was key to getting trade unionists back to work, as well as achieving trade union recognition at the Jiale Fashion factory in Yangon. Eight union leaders were sacked at the garment factory in October 2015, leading to a month-long strike. 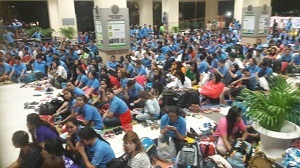 The Confederation of Trade Unions in Myanmar (CTUM) reported the dispute to IndustriALL’s South East Asia regional office, which invoked the GFA with the H&M Sustainability offices in Yangon and Sweden, especially as the case raised issues on freedom of association. H&M Sustainability then pushed for dialogue through both their local office in Yangon and Jiale Fashion’s owners in Hong Kong. H&M Sustainability, IndustriALL and CTUM were involved throughout the process until an agreement was reached between workers and the factory. As well as reinstating the dismissed workers, the factory agreed to recognize the factory trade union, the Jiale Basic Labour Organization, which is affiliated to CTUM and IndustriALL through the Industrial Workers Federation of Myanmar (IWFM). In November 2015, 88 workers at the Denim Clothing Company (DCC) factory in Pakistan were sacked for demanding their rights. The dispute began when five worker representatives were sacked on the spot for asking to discuss issues such as a lack of social security, insurance, and salaries below the minimum wage that often were paid late. When 83 of their colleagues stood up for them, they also lost their jobs. As part of the newly signed GFA with H&M, both parties worked to bring the 88 workers back to work through joint negotiations with IndustriALL Pakistani affiliate NTUF and the local management at Denim Clothing. All workers were reinstated with full pay from 26 November, the date they had been fired. Jan. 6, 2016: Some 68 women leaders and members of IndustriALL Global Union’s affiliates in the textile, garment and mining industries in Myanmar have been trained in team-building and leadership skills. The Confederation of Trade Unions in Myanmar (CTUM) in partnership with IndustriALL, the International Labour Organization (ILO) and Friedrich-Ebert-Stiftung (FES) organized the training in Yangon and Sagaing from 15 -16 and 18 – 19 December 2015 respectively. The workshops aimed to increase awareness and strengthen women’s participation in leadership and decision-making positions, as well as deepen participants’ understanding of leadership concepts and principles. Participants also learnt basic skills in communication as well as how to facilitate meetings and group discussions. In a session on sharing and group discussions, most participants said it was the first time that they has been able to share their situations as women and as workers. They raised issues such as occupation health risks in the workplace, working hours and low wages. They also said that despite their paid jobs they still had do all the house chores and take care of the children and elderly which usually hinder them from actively participating in trade union activities and taking leadership positions. Sexual harassment, invisibility and multiple-burden were some of the concerns that were discussed which participants were not aware of. The women expressed their desire to learn more about these problems. IndustriALL presented the advocacy for women particularly on gender quotas and maternity protection. The ILO explained core labour standards and instruments related to workers. Participants formulated their action plans to increase women’s participation in trade unions and leadership positions through formation of functional women committees and through solidarity with other women workers to improve and respond to women’s issues and concerns. January 7, 2016: An important leader in Somalia’s independent trade union movement, Omar Faruk, closely escaped gunshots from three hit men outside the FESTU union office in Mogadishu on 29 December. IndustriALL Global Union joins the ITUC in denouncing the attempted murder and in calling for action from the Somali government to stop the intimidation and take all appropriate measures to prevent further attacks on trade unionists in the country. Omar Faruk Osman is General Secretary of the ITUC-affiliated Federation of Somali Trade Unions (FESTU). FESTU is the first independent and democratic trade union centre in the country. The FESTU General Secretary was entering the union’s office when three armed men sprayed his car with bullets on Taleex Street. It is only by good fortune that Omar Faruk escaped death, but one of his bodyguards and two pedestrians were seriously wounded. It is well known that Omar Faruk has been threatened many times by some radical groups and other members of the Somalian government because of his commitment to build a strong and independent union in his country. This assassination attempt can also be linked to Omar Faruk’ s recent position denouncing a controversial media law passed by the Somalia parliament which is described as a threat to media freedom in the country. IndustriALL has reported in the past of intimidation, threats and bombs against FESTU and its efforts to organize workers. January 5, 2016 The Global Labour University (GLU) is inviting applications for its courses as 2016 begins. Trade unionists and social activists are encouraged to apply to for its Masters’ Programmes in Germany, India and the USA. Students have the opportunity to benefit from the expertise of the international GLU network of universities, international and national trade unions, the Friedrich Ebert Foundation and the International Labour Organization (ILO). The Masters’ programmes focus on policies for social justice including global governance, international labour standards, development, economics, trade, and multinational companies. The GLU is also running an online course, starting on 3 March 2016. The Massive Open Online Course (MOOC) on Workers’ Rights in a Global Economy is jointly taught by academics, ILO and trade union experts. The course runs over eight weeks and is free or costs 49 Euros for a recognized certificate awarded by the GLU and Penn State University.